but she ate them, so my plan worked. 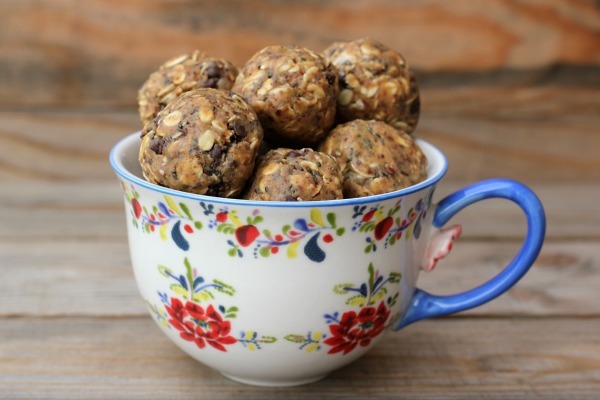 for a small batch of 12 balls, but you can easily double the recipe if you would prefer more. 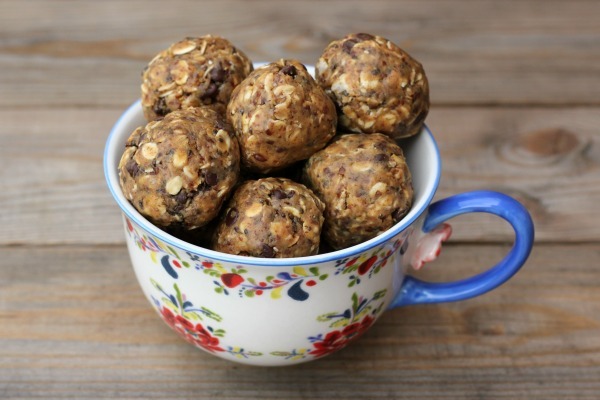 Combine oats, flax seed, chia seed and chocolate chips into a mixing bowl. In a small, microwave safe bowl, combine peanut butter and honey. Pour peanut butter and honey over the oat mixture, stirring until combined. 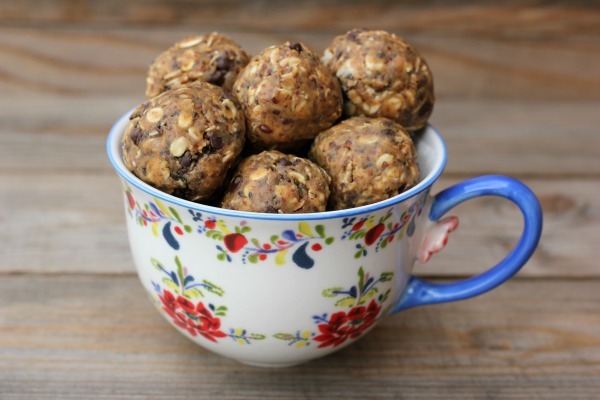 Using a medium cookie scoop, roll mixture into balls.